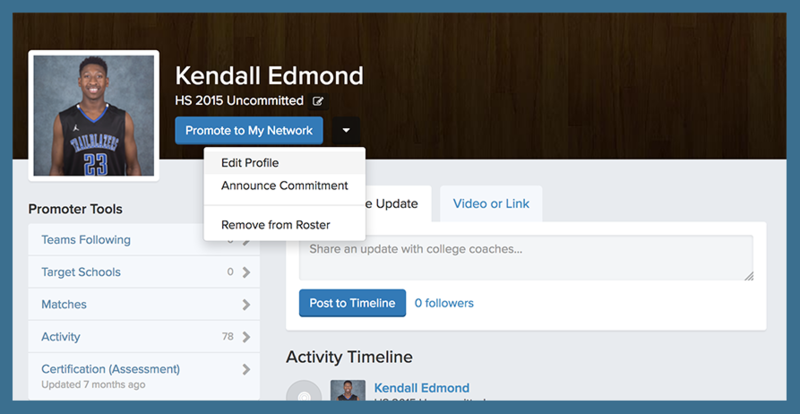 Both coaches and athletes can edit every portion of athletes' profiles, except that coaches cannot change an athlete's email address, password and the list of Target Schools. As we discussed in Athletes vs. Coaches Roles, athletes are primarily in charge of building and maintaining their profiles. However, we've given coaches the ability to edit and update player profiles to help athletes along the way.